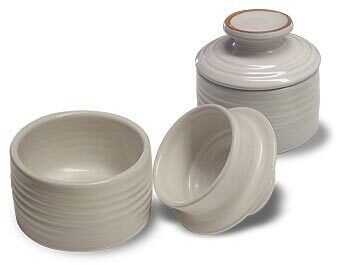 This French butter keeper can be left out on you counter. Add a little water in the base and pack your butter in the lid. Your butter will always be soft enough to spread on your morning toast.